If you're wondering, "why should I use induction soldering?" then you've come to the right place. Induction soldering is an induction process in which two separate pieces are fused together using a filler metal or other material. The filler metal varies depending on the other components being joined, but the most common fillers for induction soldering include alloys such as tin-silver, tin-zinc, and tin-lead. An induction heating system typically consists of three parts: the power unit, the work head, and the work coil. First and foremost, induction is a rapid method of heating. Depending on the work piece and system being used, the process can take just seconds. So if you're hoping to solder metals quickly, induction is a great choice. 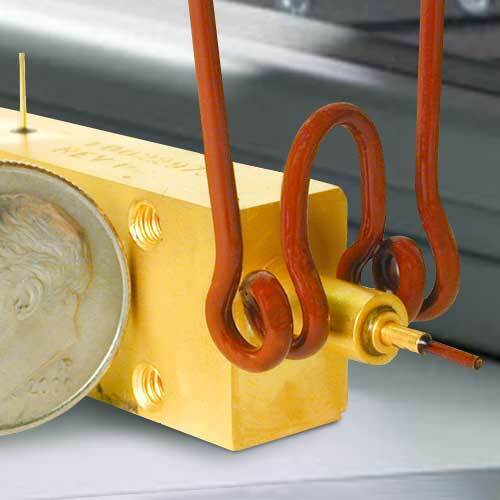 Induction is a precise method of heating, which makes it a great method for soldering. Once the process is set up, you can expect the same result time after time. It helps minimize the odds of inconsistencies which you might see with a soldering iron or torch. Understanding the basic information about induction soldering can help you determine whether or not it's suitable for your needs, so next time you're asking yourself, "why should I use induction soldering?" you'll have some background info. For more information about induction soldering and other induction equipment for sale, contact Ambrell Corporation.